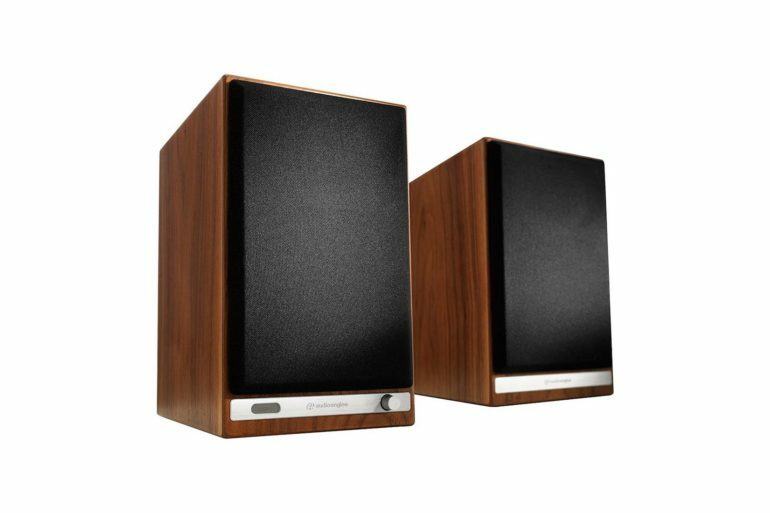 Manufactured by one of the most famous companies in the industry, the Klipsch R-15M is definitely a great addition to any living room or office. 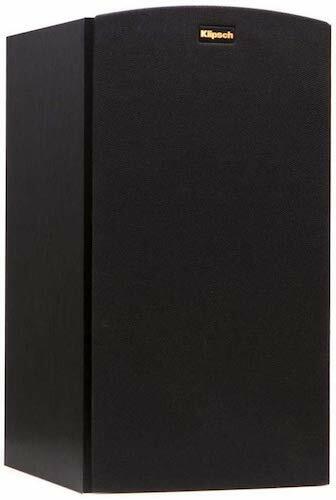 The sound system rocks the beautiful signature look that all Klipsch products have and is made from the same quality materials like all the other systems in the company’s bookshelf speaker line. While the R-15M are not flagship models, the company’s philosophy is that every product manufactured and sold should be able to produce crystal-clear sound. These are no exception. The manufacturers have taken the technologies and manufacturing processes that have given great results on more expensive models and have found a way to integrate them into the T15M without raising the price. 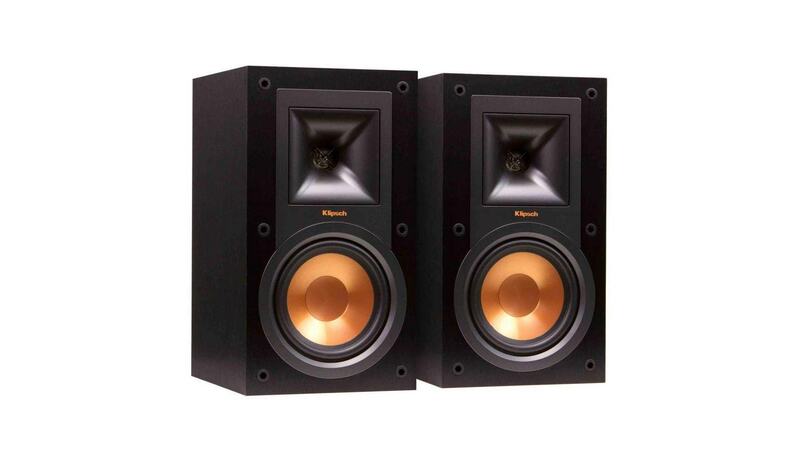 The Klipsch R-15M bookshelf speakers are not the smallest products in their class, however, their beautiful, recognizable design makes them awesome display pieces and lets them fit in an aesthetic, from classical to modern looks. The great contrast between the black casing and the copper-colored accents give it an elegant, old-fashioned look. Those who are interested in purchasing them will have to consider placing them on stands, rather than on shelves. The speakers measure 8.1 x 7 x 12.5 inches and weigh 10.3 pounds, making it ideal for living rooms where there isn’t a lot of space. Not the smallest in their category, but their size is relatively smaller than that of other products. And that’s actually how bookshelf speakers are supposed to look – not too large so that you can fit them easily, yet not too small that they’re unnoticeable. The audio reproduced by these speakers is unbelievably clear, but you wouldn’t expect anything less from a product made by Klipsch. This company is famous for the accurate sound its speakers produce and R-15M do not disappoint. The reason why this is the case is that they feature a horn-loaded tweeter, which has become a sort of signature feature of Klipsch devices. Of course, with an amazing tweeter, the speakers are able to reproduce accurate high-frequency audio, but what about their bass response? Well, there’s a 5-1/4″ woofer, which in combination with rear-firing port creates a pretty decent bass. 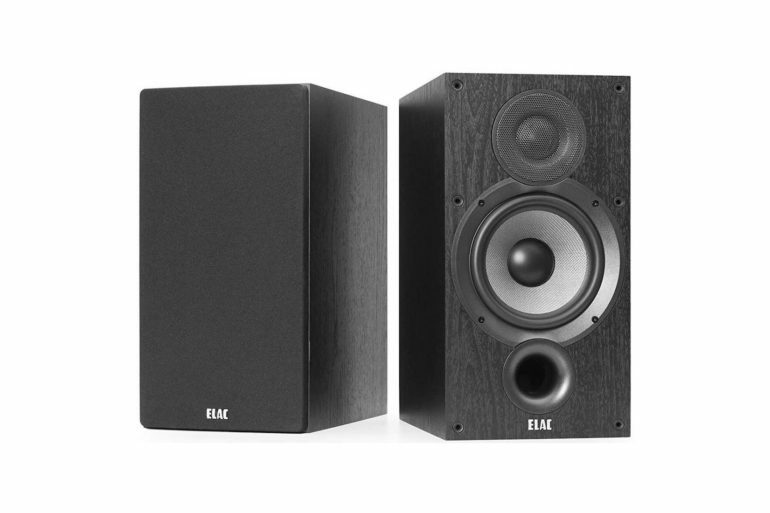 Of course, you can’t expect these speakers to produce wonders when it comes to low-frequency audio, but for such an affordable set of bookshelf speakers, they’re more than okay. And of course, they’re great in mids as well. 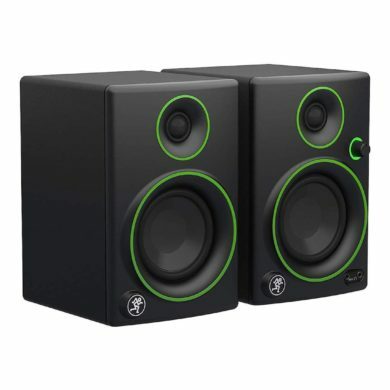 In fact, if you’re not too picky, you should be satisfied with the audio accuracy of these speakers in all frequencies. Speaking of frequencies, the frequency range of Klipsch R-15M is 62-24,000 Hz, which covers almost all the frequencies that the human ear can hear. 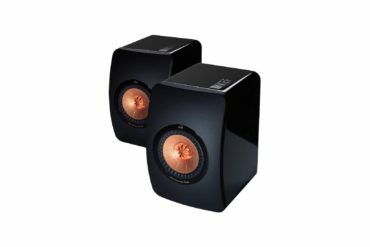 Great sound in a great package – The sound produced by these speakers is extremely clear and this remains constant even at lower frequencies where other systems would output distorted sounds. Amplifier needed – While there are some bookshelf speakers that feature integrated amplifiers, this is not one of them. They do require amplification in order to reach their full potential. 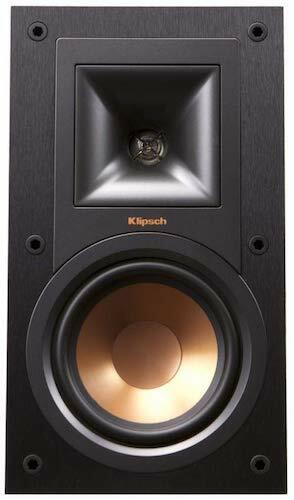 The R-15M from Klipsch are not the cheapest products on the market, but they are also far from the most expensive. 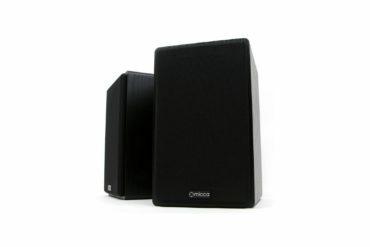 They are an affordable option for anyone looking to get a great looking, well-built sound system for their living room. However, while they are relatively small, they do require an amplifier which will take additional space in the room. They can be connected without an amplifier, however, without the additional power they won’t be able to make full use of the technologies incorporated in it.